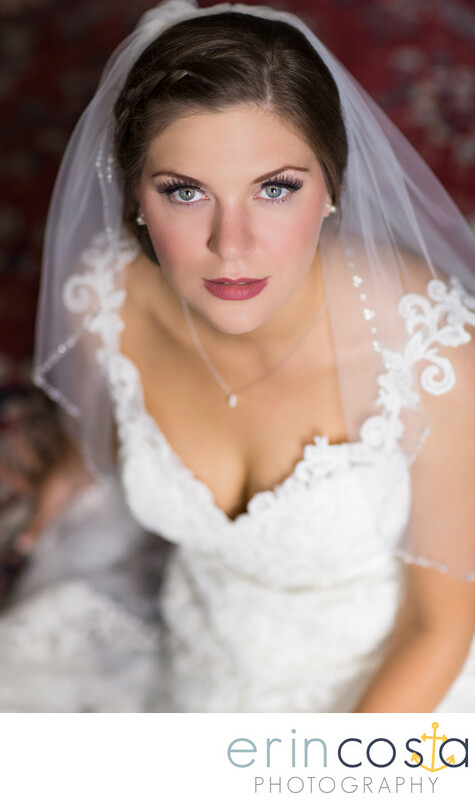 How stunning is Maggie in this classic bridal portrait of her taken moments before she walked down the aisle at the Basilica Shrine of Saint Mary? This is one of our favorite types of bridal images to capture on your wedding day. It's classic and elegant, and absolutely beautiful. We would love to create beautiful bridal portraits such as this for your Wilmington wedding! Location: Basilica Shrine of Saint Mary.